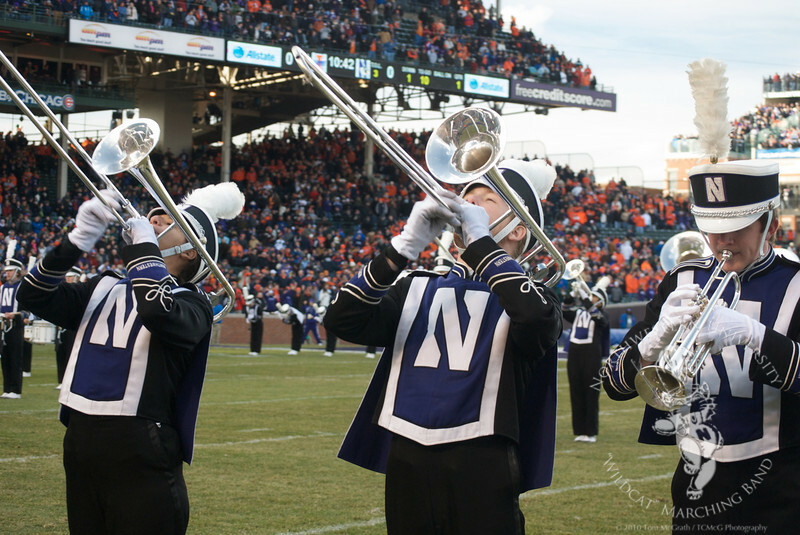 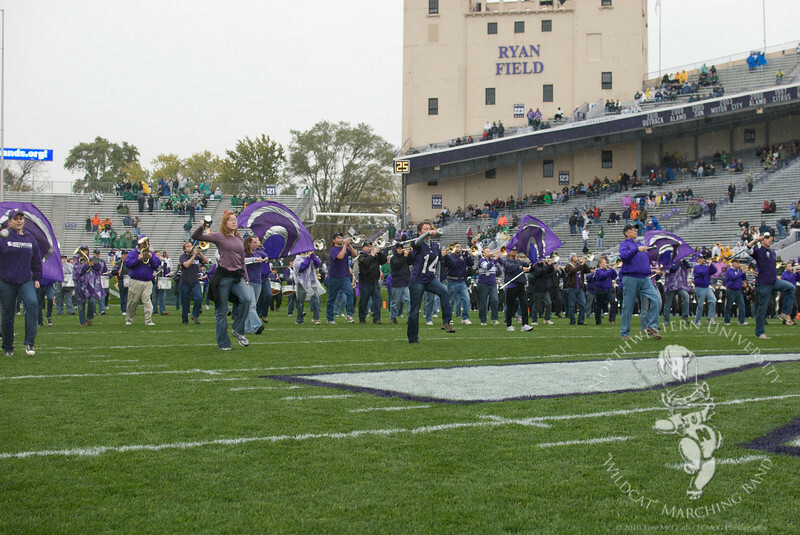 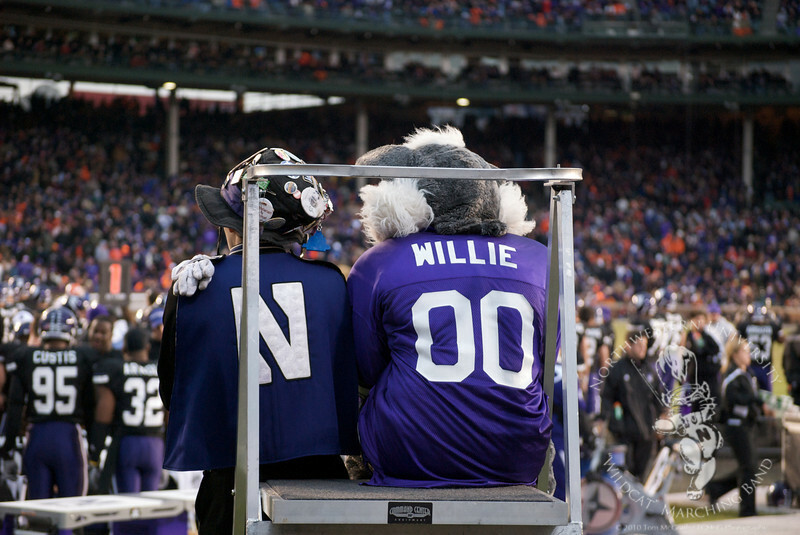 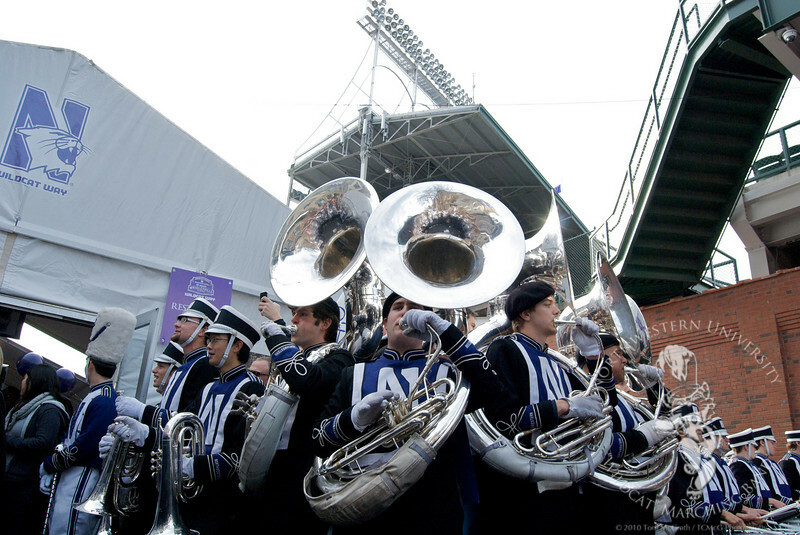 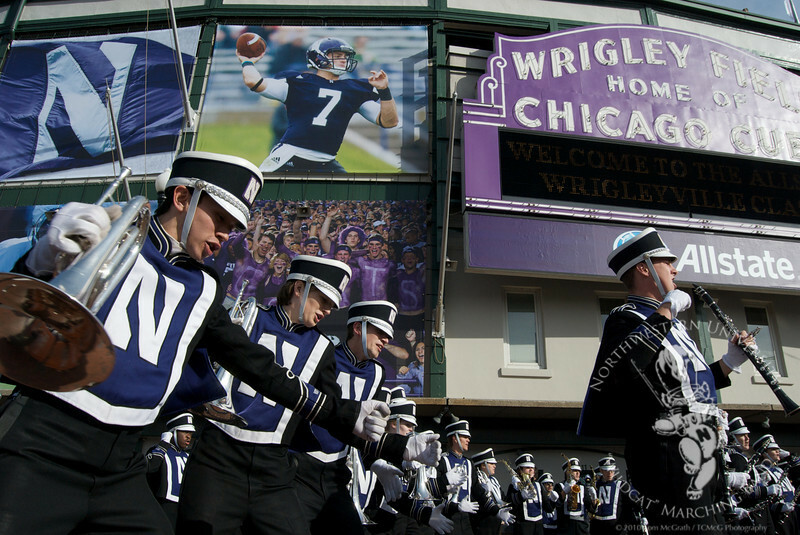 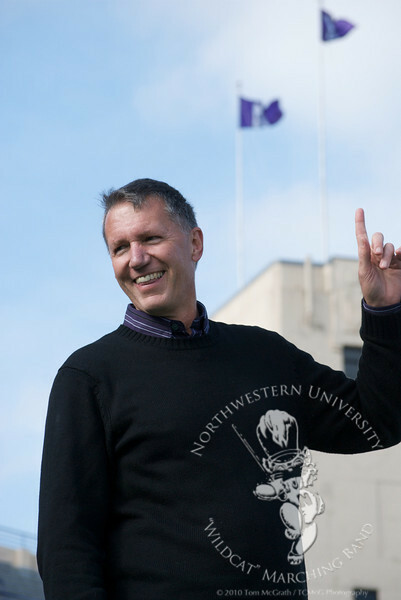 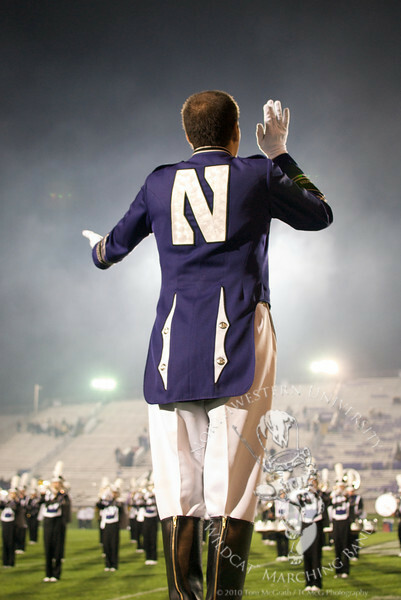 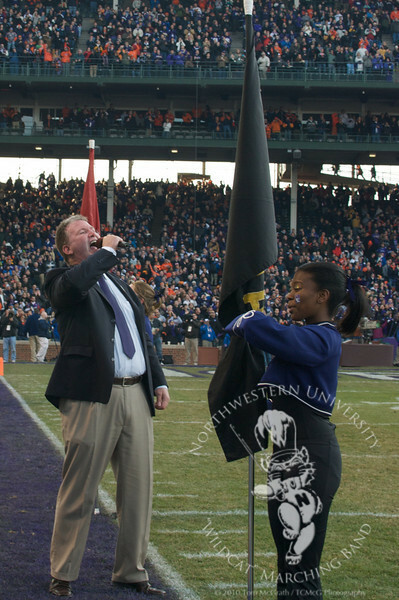 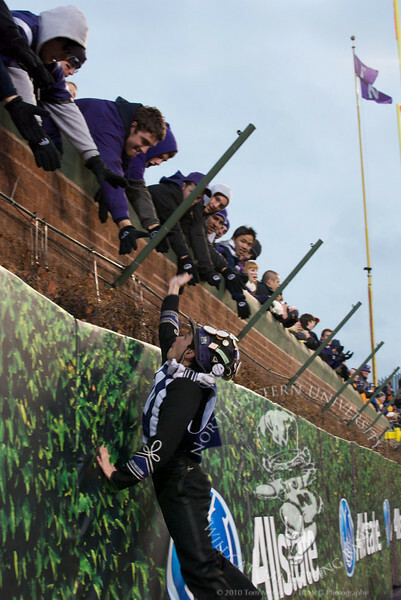 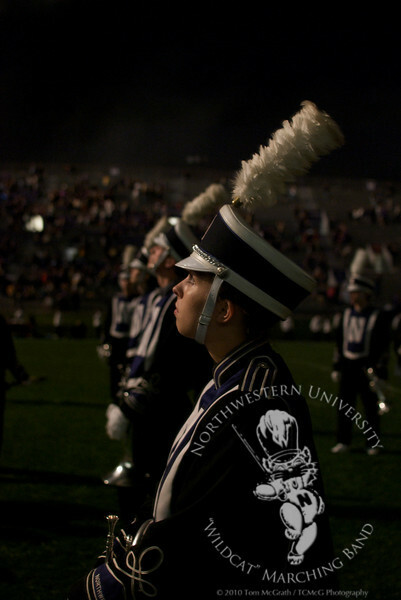 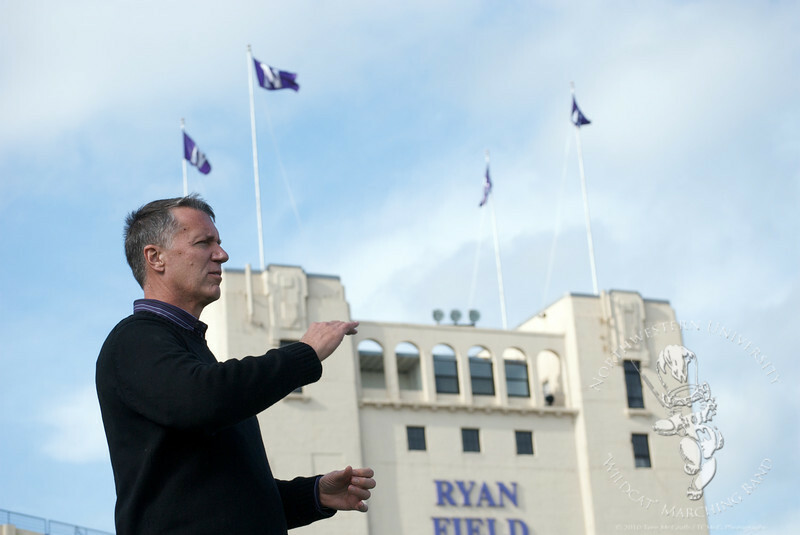 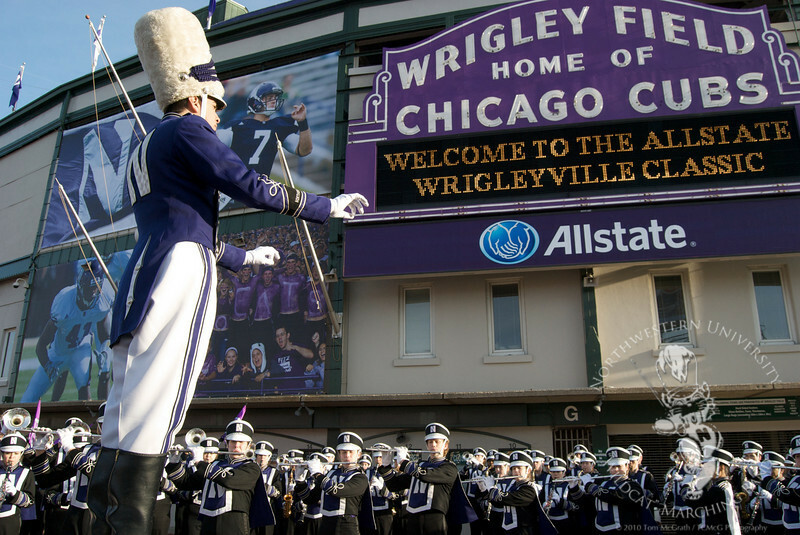 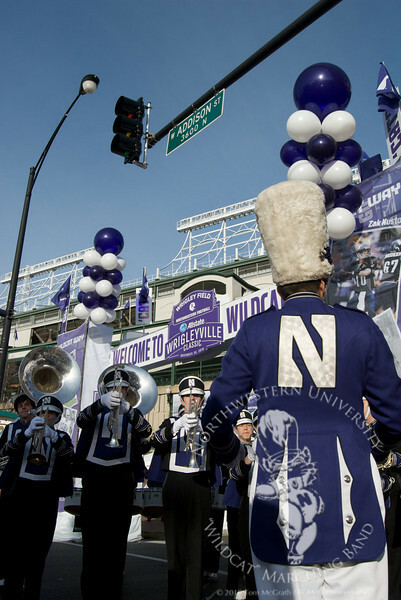 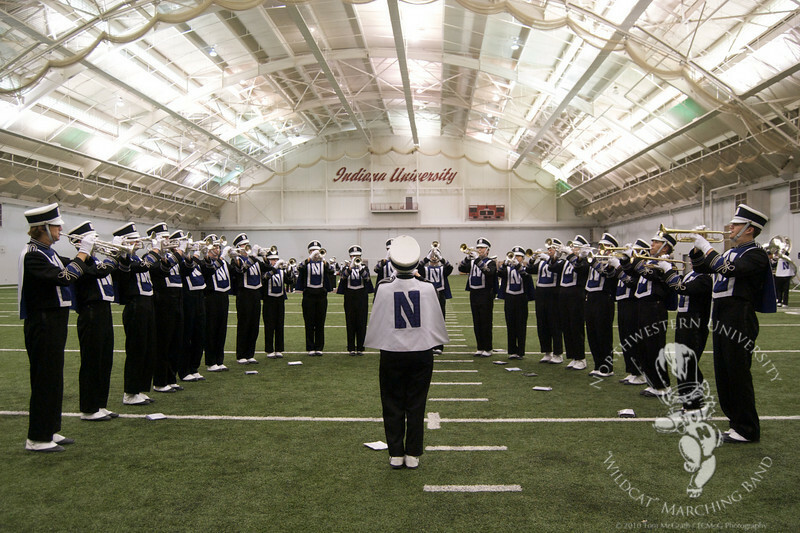 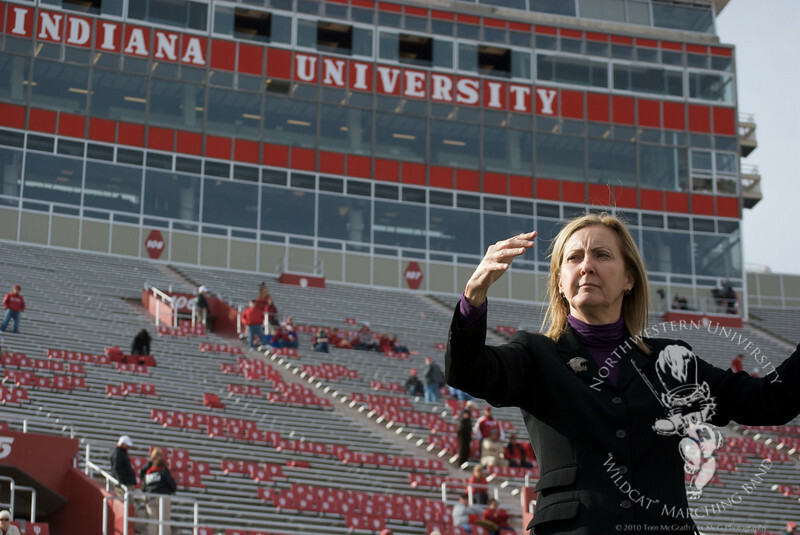 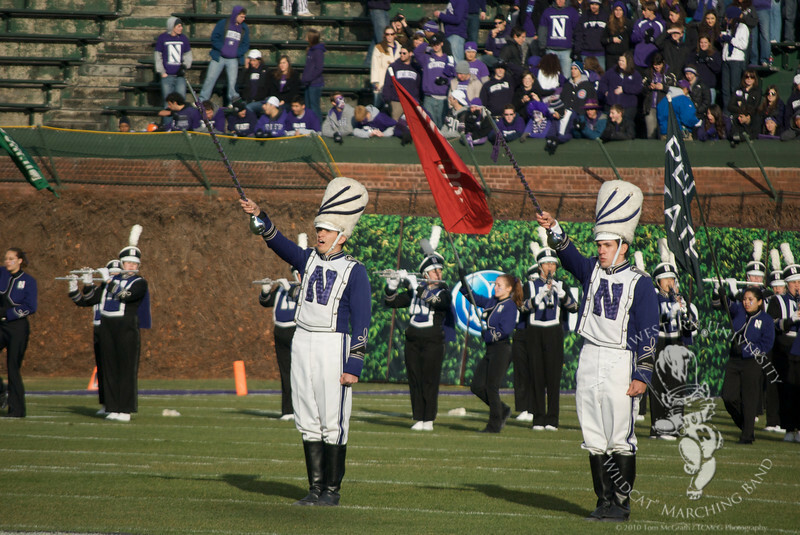 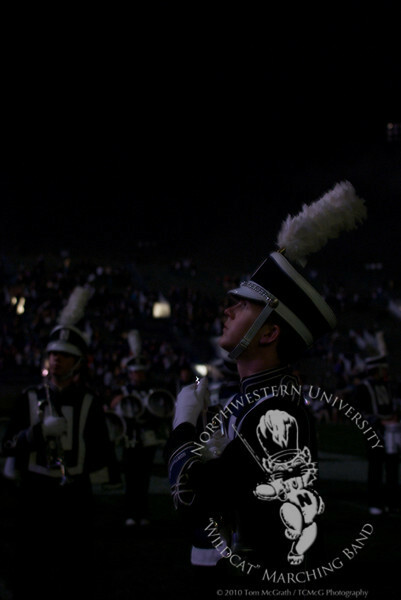 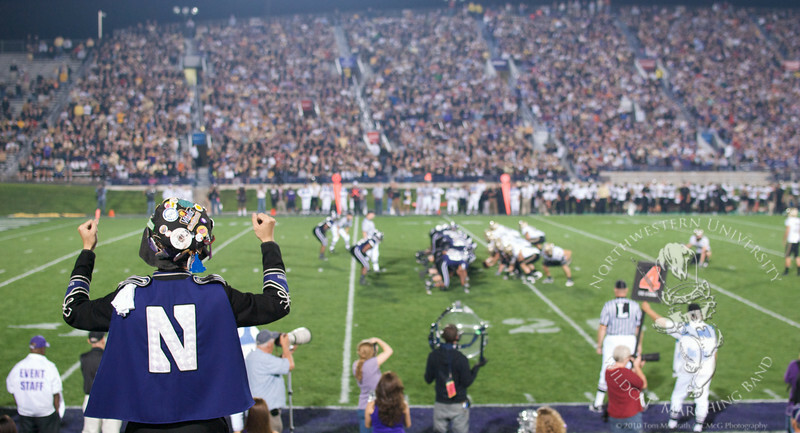 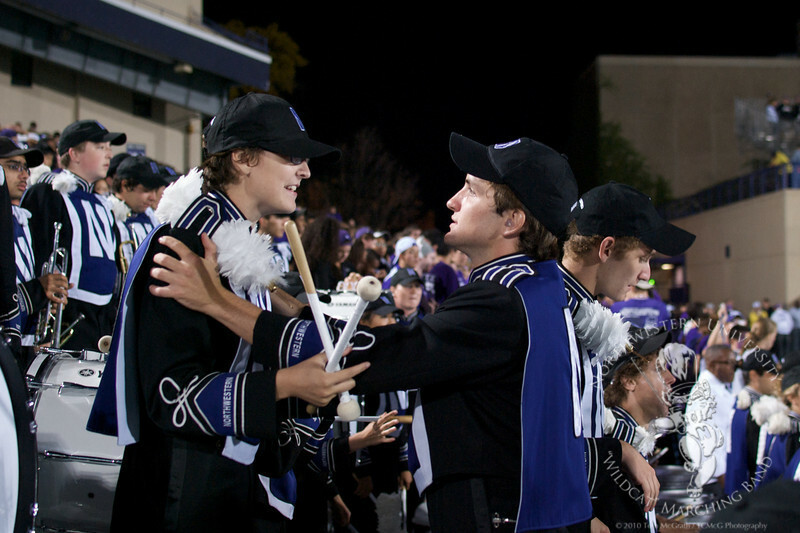 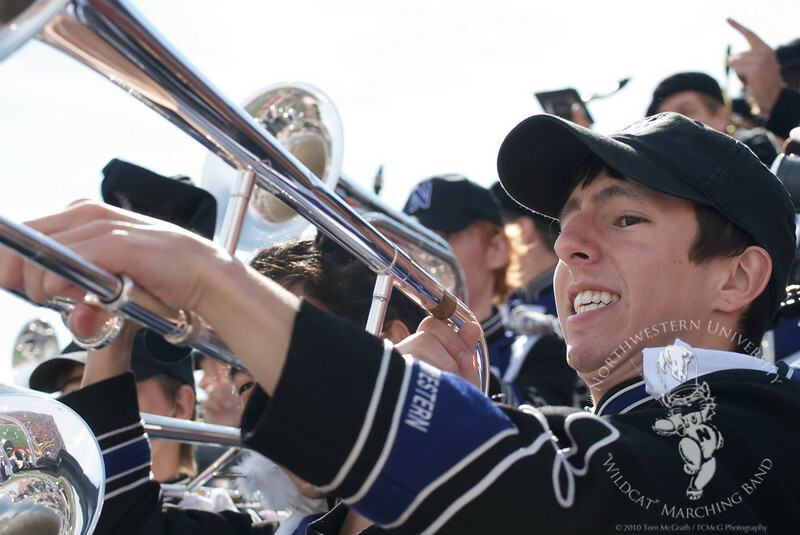 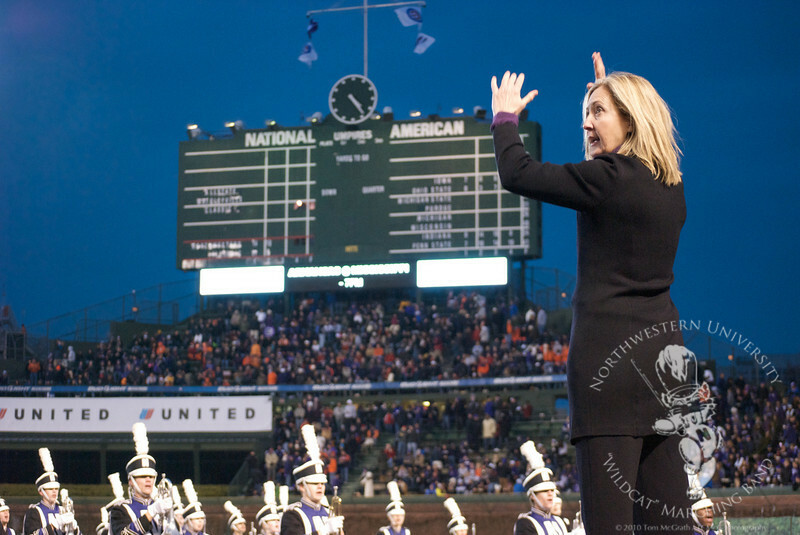 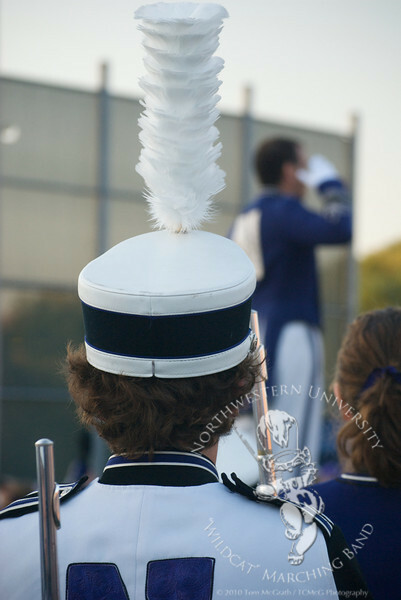 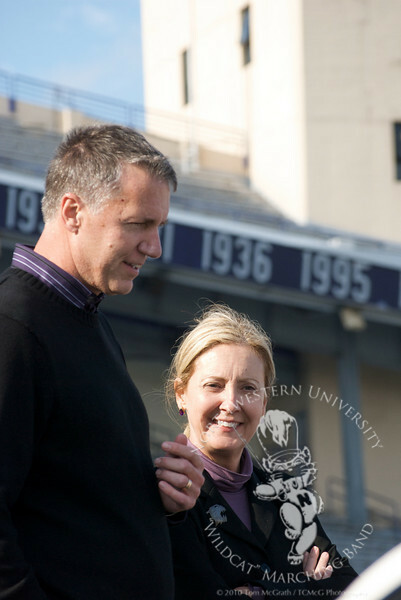 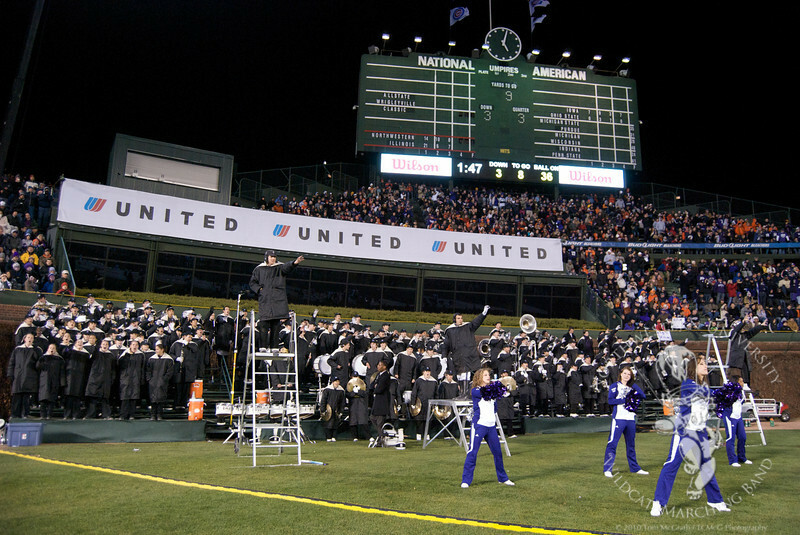 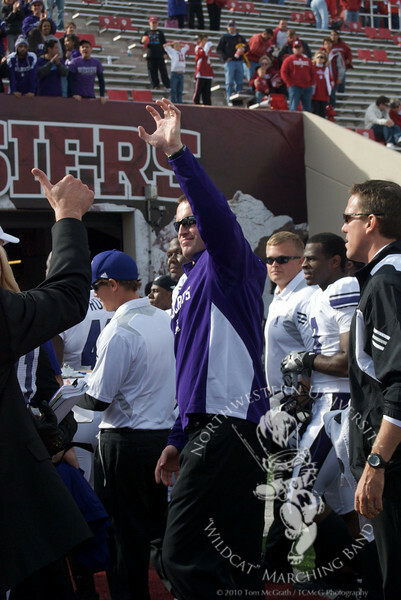 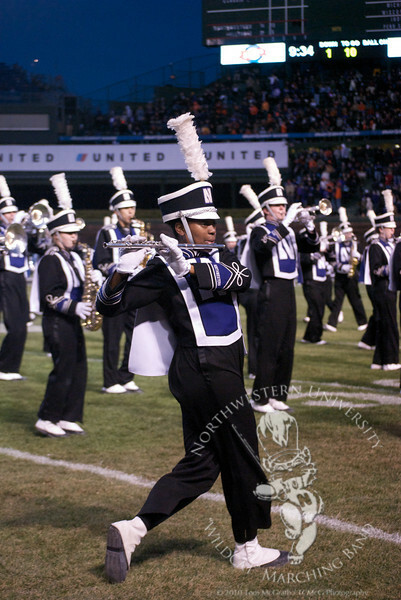 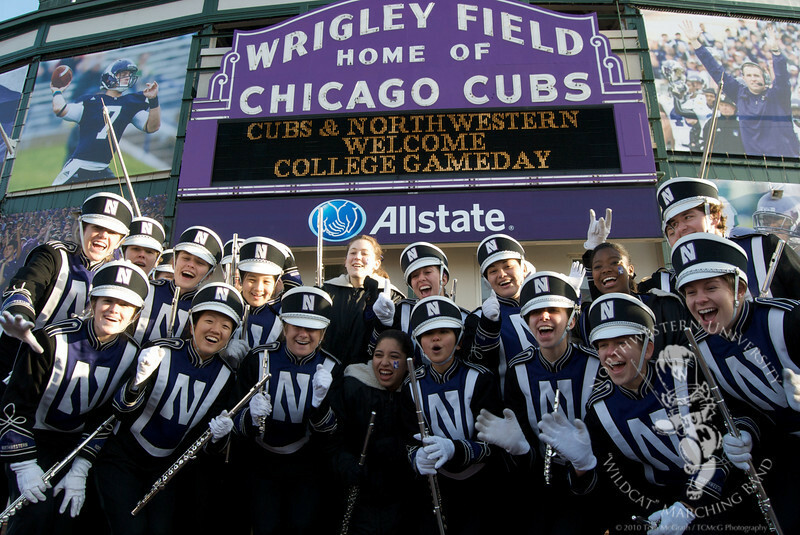 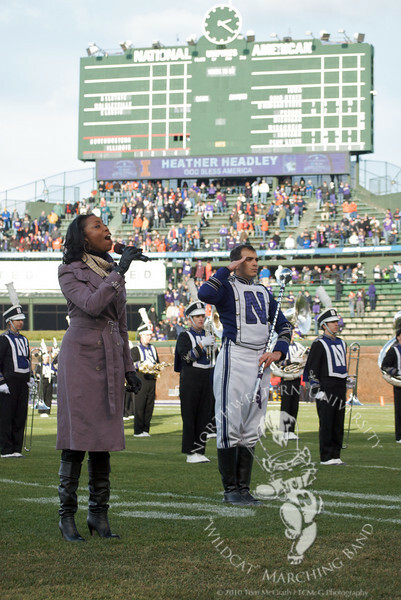 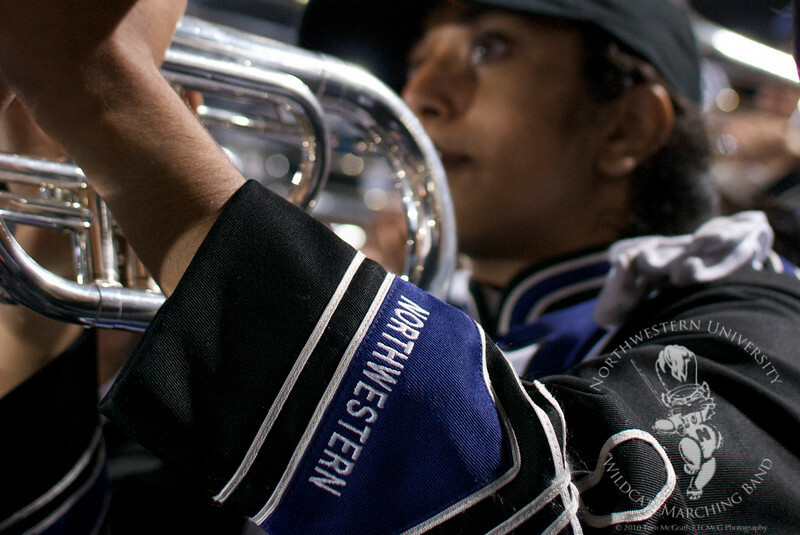 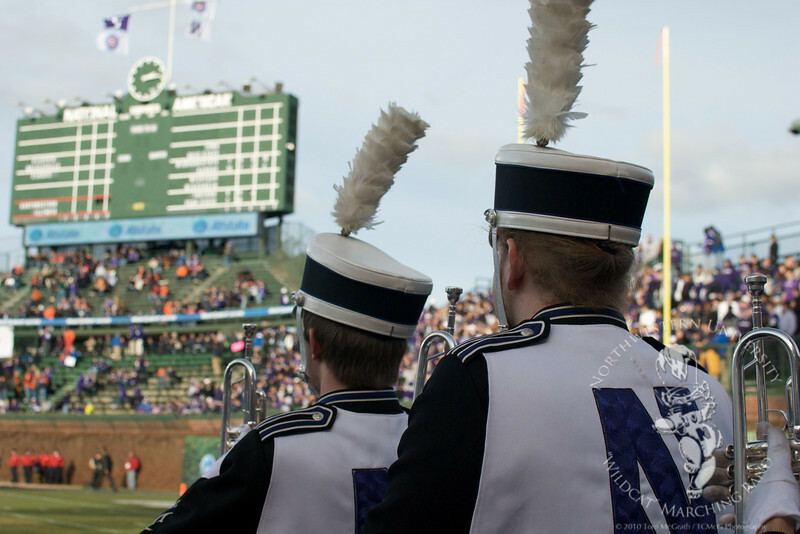 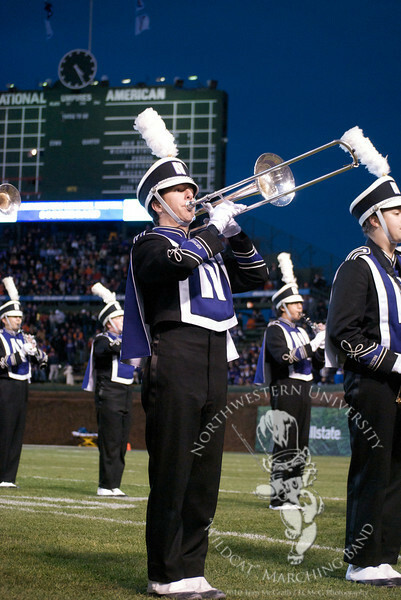 Coach Pat Fitzgerald expresses his appreciation to the Wildcat Marching Band after Northwestern's victory over Indiana, Octoer 30, 2010. 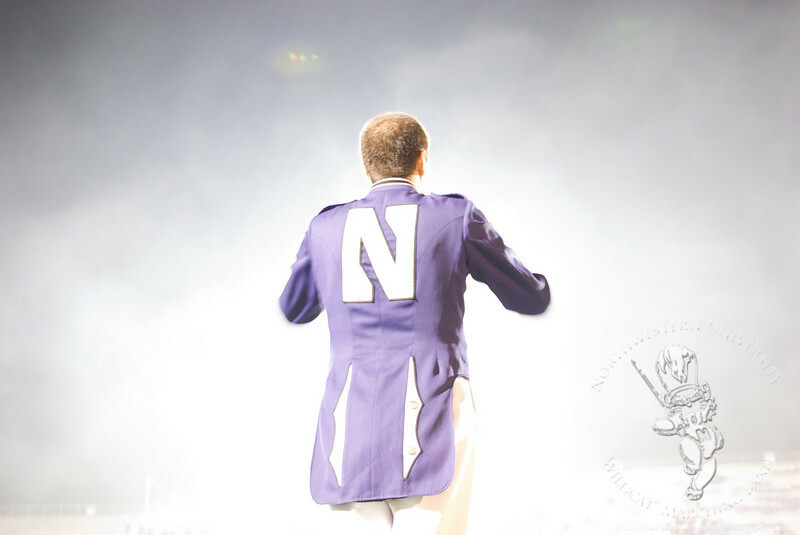 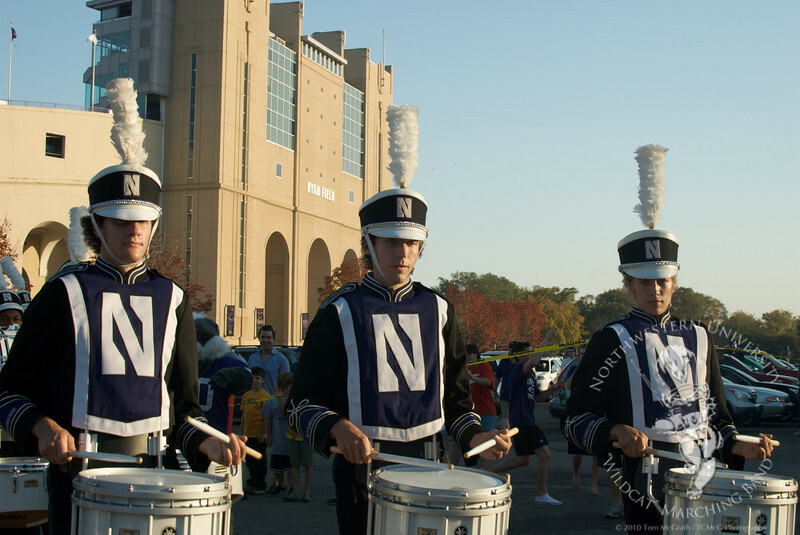 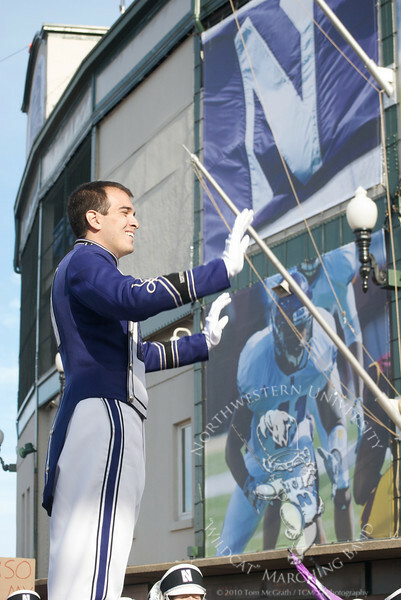 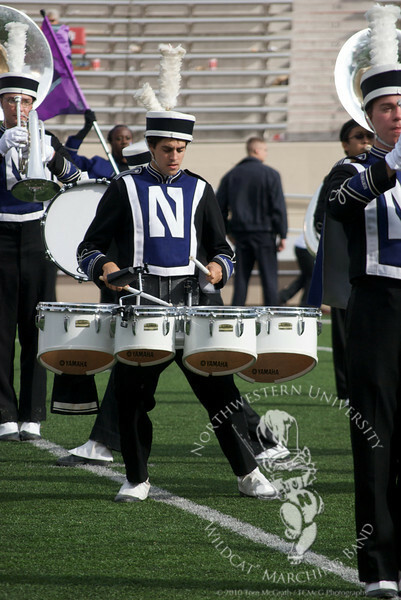 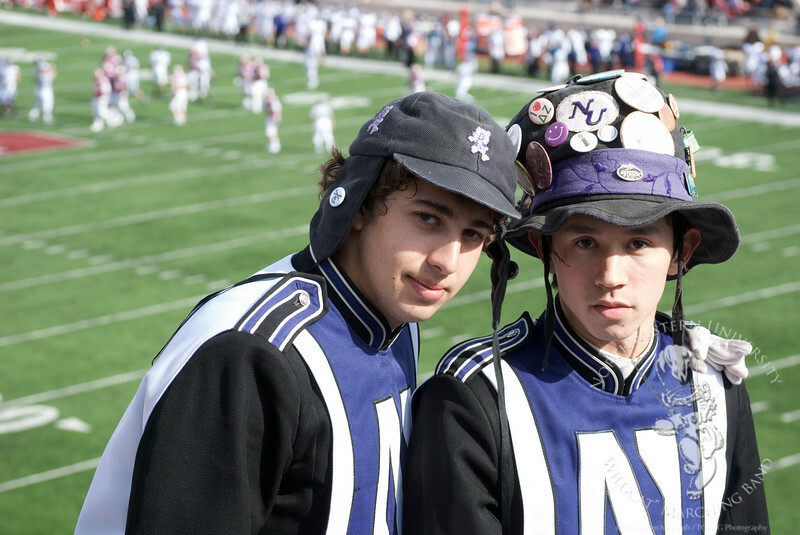 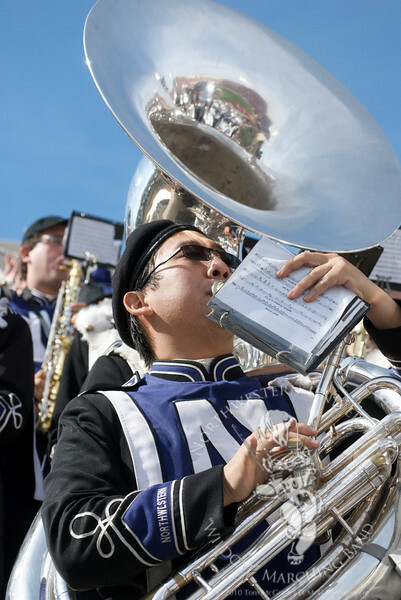 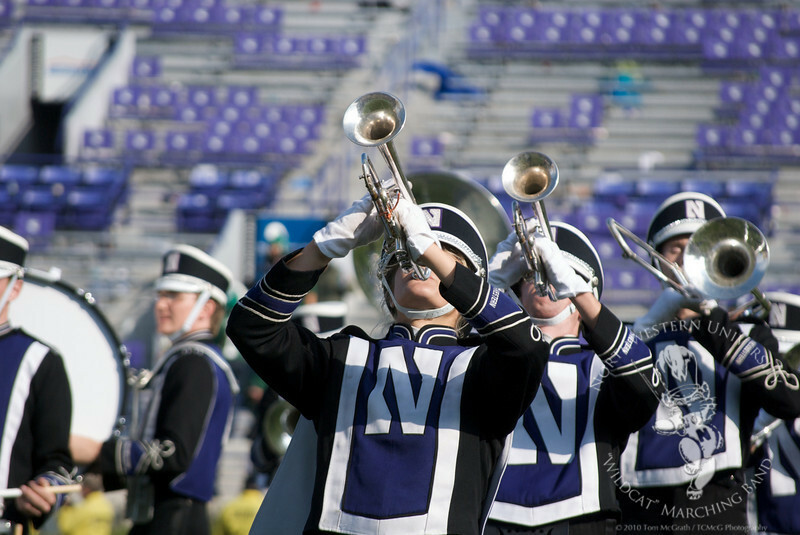 Dominic Macanas performs in the stands at the Northwestern/Indiana game in Bloomington, IN. 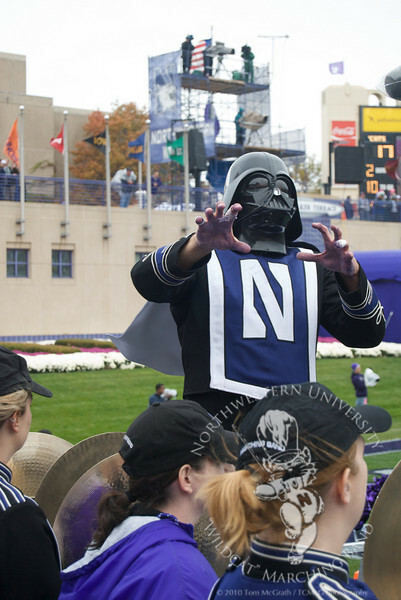 Spirit Leader Jed Feder dons a Darth Vader mask while NUMB plays The Imperial March. 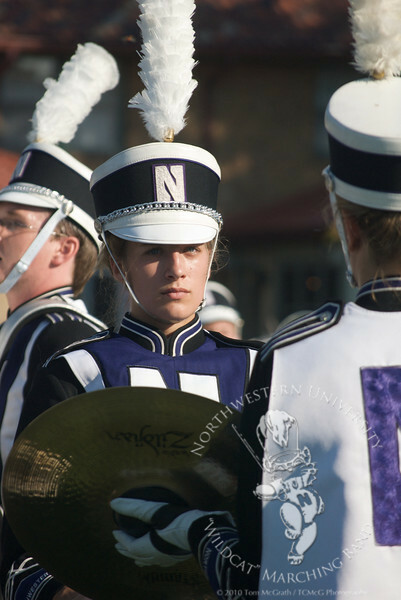 Wildcat Band Director and current Director of Bands at Ithica University Dr. Steve Peterson speaks to NUMB as current Northwestern Director of Bands Dr. Mallory Thompson looks on. 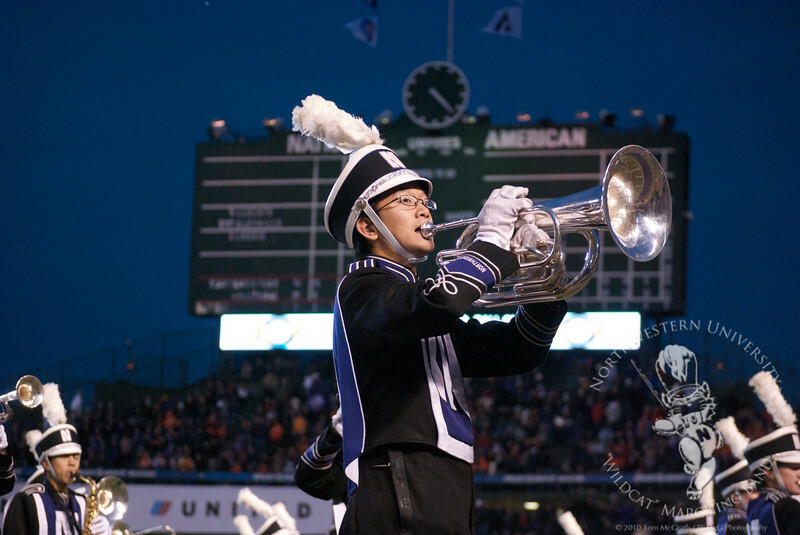 Horn flash during the postgame show, October 25, 2010. 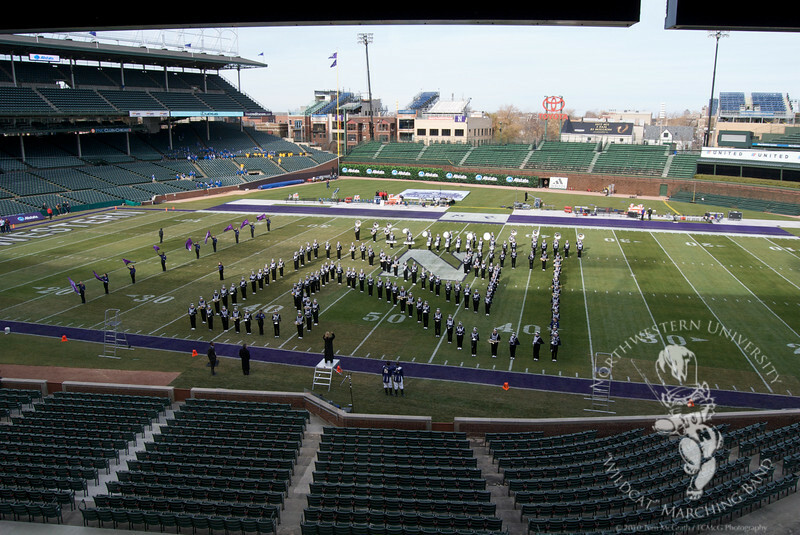 Northwesetern fell to Michigan State 35-27. 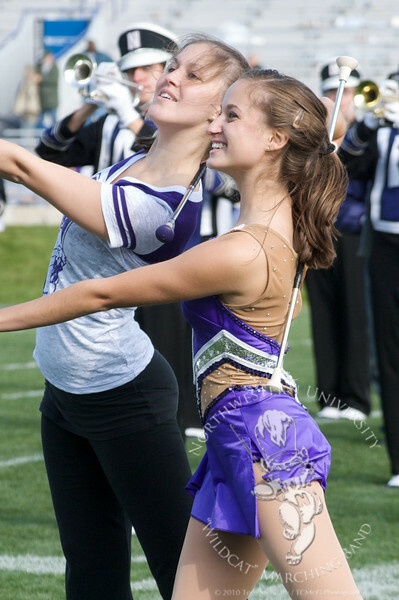 Former and current featured twirlers Lauren (left) and Kali Maginity (right) perform during postgame of the Northwestern 2010 Homecoming game.